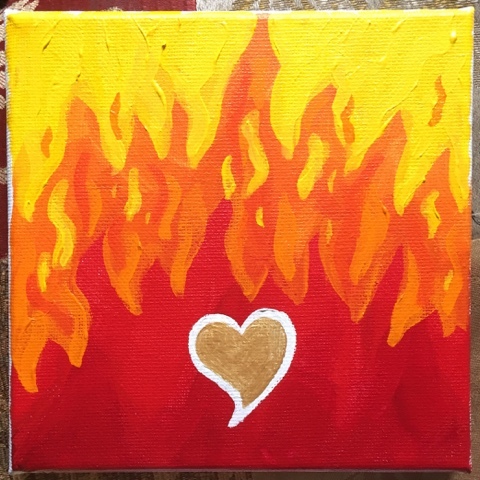 Elements of the Heart is a short series of paintings exploring the vibrant energetic core (or heart) of the alchemical/magical elements. 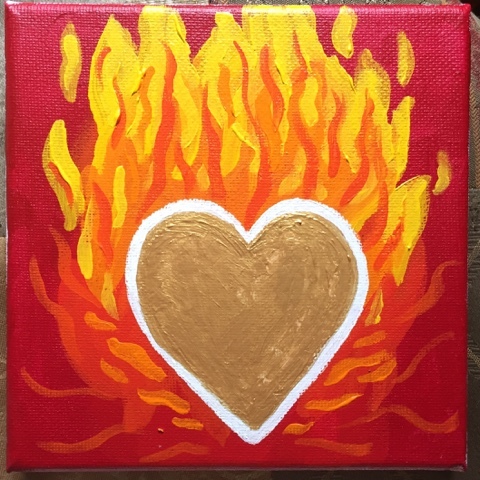 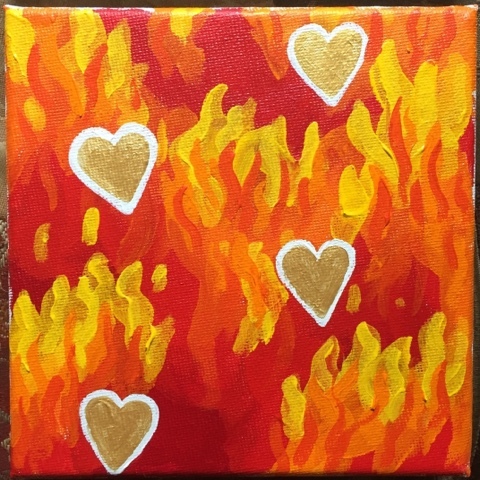 Over the next week I'm going to produce 4 small canvases each of fire, water, air, earth and ether using the symbol of the heart as a focal point. 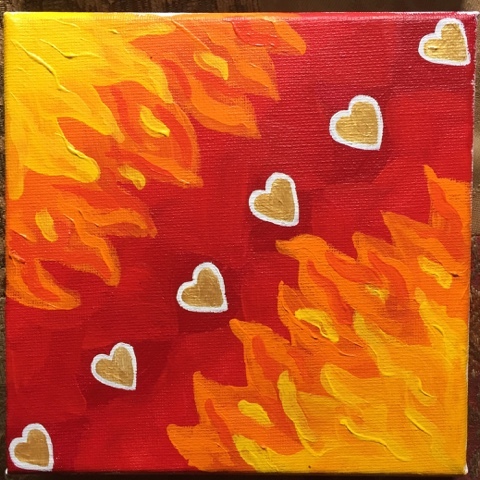 Today heart flame burst forth from my brush. 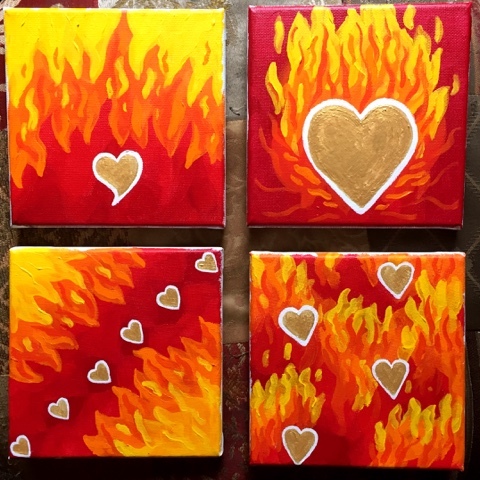 Inspired I layered color upon color to build landscapes of flame and nestled golden hearts into the warm, flickering colors.